Cali Diamond goes off on her new single “Hella Mad” stream it below on Spotify. 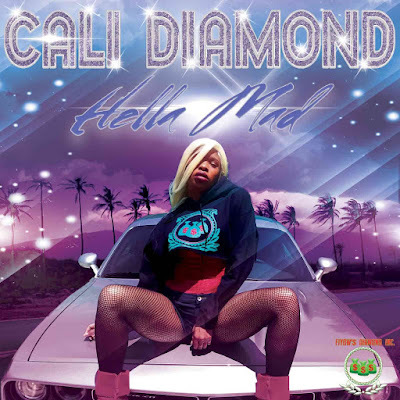 Cali Diamond, an emerging artist coming out of Sacramento is on her grind. With only 6 months in the music game she has released 2 singles “Hella Mad” and “Robbery” which are available on Spotify and all streaming outlets. She has opened “Fiyow Diamond Inc”, her entertainment company and she is making her rounds through various media outlets. Stay tuned maybe we will get a chance to sit down speak with Cali Diamond, but for now stream her new single “Hella Mad” on Spotify. Catch up with Cali Diamond on Facebook and Instagram!